Cardi B’s highly anticipated collaboration with Fashion Nova has finally launched. Her collection of smooth textures, bright colors, and flattering silhouettes has sold out in only four hours. Are we surprised? I am proud of Fashion Nova for allowing Cardi and her team to think outside of the box with the designs found in this collection. A few of my favorite pieces include “Emotional Gangster” cognac leather trousers, “What’s Poppin’” faux crocodile leather jacket and “Money Bag” leather bodysuit. I love the use of color and texture within this collection. 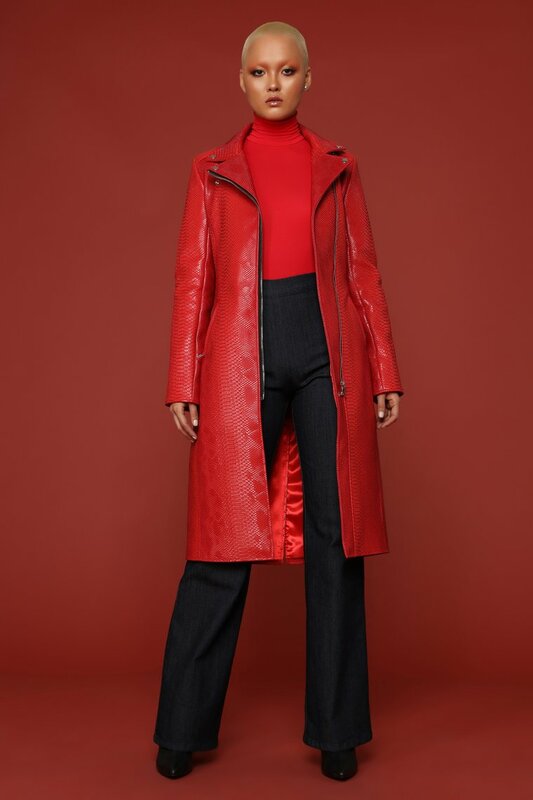 Despite FN’s many, many, articles of clothing made of mostly spandex and polyester, Cardi’s collection plays with mesh, leather, denim, faux-fur, cotton, suede, and even vinyl. Her unapologetic personality stands out in this collection, theres something for every woman from the saints to the aints. Cardi B has not been shy about her love for Fashion Nova. The chart-topping rapper, now designer has been an ambassador for FN even before her current glory days. She’s always stayed loyal to the brand because its hard for her to find jeans that fit over her natural curvy body. In an interview with Elle, Cardi explains that alot of clothes sold on Fashion Nova look like the clothes she saw in her city and I can totally agree. You can find clothes similar to Fashion Nova in your local Pretty Girl, Rainbow, Necessary Clothing or Mistique. Fashion Nova being an online retailer made it easier for customers to find those clothes and by teaming up with Cardi, they just changed the game. See below for photos from the Cardi B x Fashion Nova collection.